Want to delve into God’s Word on a deeper level? 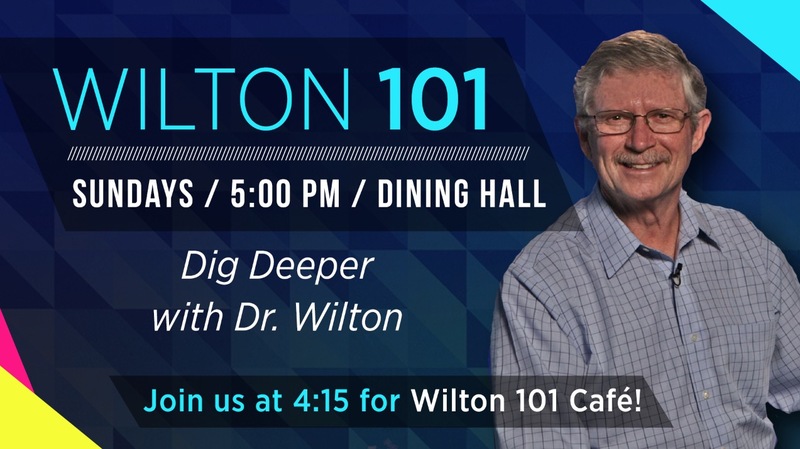 Wilton 101 is a time of fellowship and in-depth teaching with Dr. Don. Come study with us! You won’t want to miss it. Coffee and Dessert start at 4:15 PM Sundays, and Wilton 101 starts at 5:00 PM. Join us at 4:15 for Coffee and Desserts! Every Wednesday night at 6:15 in the Chapel, we gather to pray over different prayer requests from our church family, sing hymns, and delve into a deeper study of God’s Word. 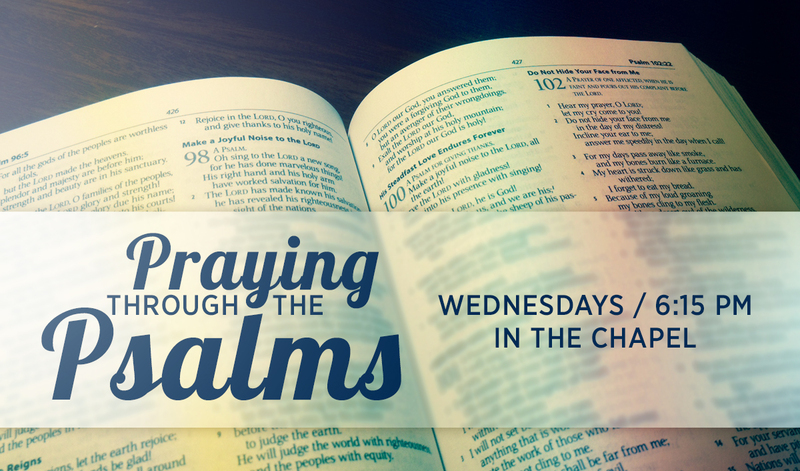 We are currently working our way through the Psalms, one by one, as we pray each week. Everyone is welcome to join! We ask that all prospective members take part in a special class that will help you understand all that it means to be a member of FBS. 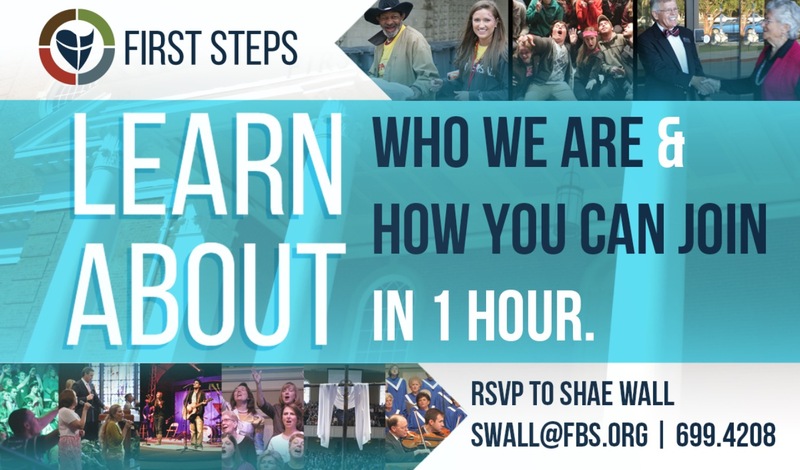 First Steps is a one hour, one-session study that explains the blessings, responsibilities, and opportunities that come with church membership. Whether you’ve been a member of a Baptist church all your life or you have just received Christ as your Lord and Savior, you will be richly blessed by being a part of this fun class. 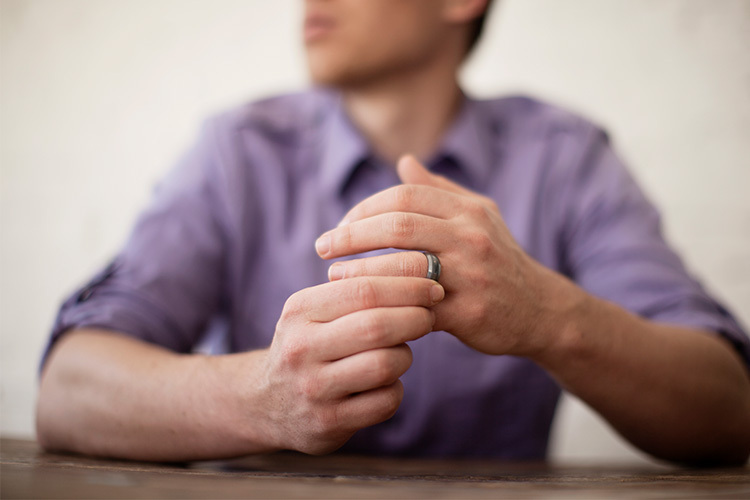 Has the trauma of divorce and separation shattered your life and your dreams? Do you wonder if you will ever be able to pick up the pieces and learn to trust again? Have you come to terms with your pain and found peace and forgiveness? Or have you run from the pain of your divorce? We have a great interest in you. It would be our privilege and blessing to get to know you and help you get back on your feet and get back into enjoying life. We know that God loves you and has a plan for you. In Financial Peace University, you will meet with your class each week to watch a video lesson and participate in discussion groups that will change how you think about money. Each of the 9 lessons deals with a different topic. Dave Ramsey explains how money really works in a simple, easy-to-understand style. He teaches about how to save money, live on a budget, communicate about money, eliminate debt, find bargains, and experience the joy of giving. You’ll actually have fun as you learn! The goal of FPU is not just information – we’re looking for transformation! Financial management is only 20% knowledge and 80% behavior. 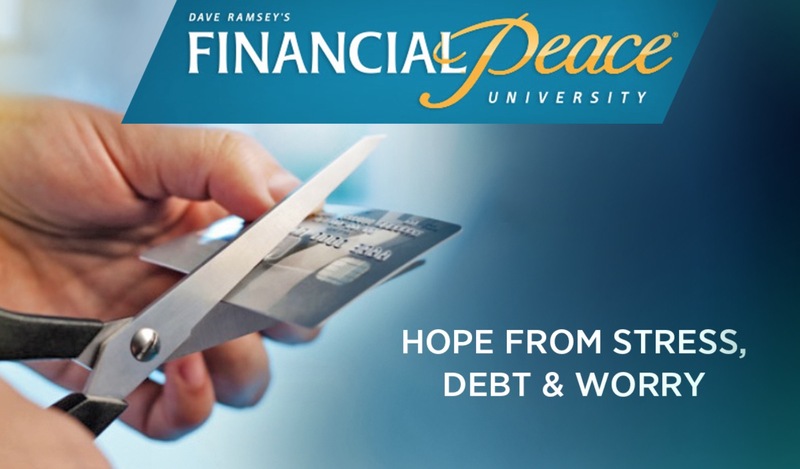 FPU will help break the bad habits that rob people of true financial success. This is a life-changing program that teaches you how to make the right decisions with your money. You will be empowered with the practical skills and confidence needed to achieve your financial goals and experience true financial peace. For more information please call Mark or Kristi Beck at (864) 814-2325 or the Education Office at (864) 699-4207. 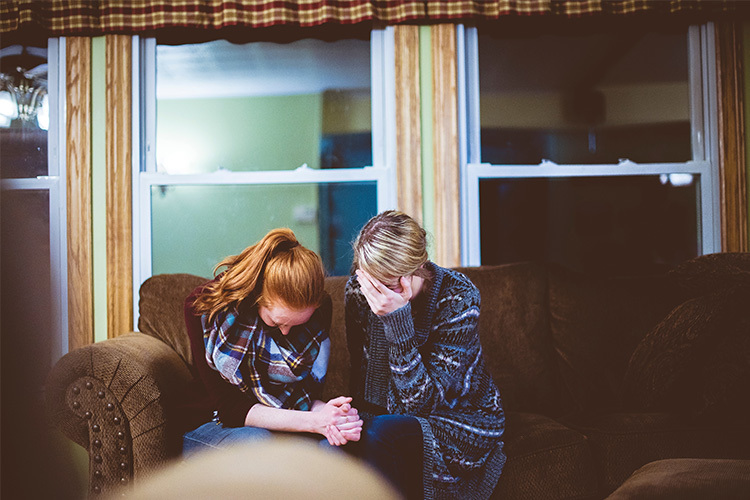 Grief Share meets every Tuesday night from 6-7:30 p.m. in Room 144. <strong>Now</strong> is the time to realize your dream of being a published author. If you are a new writer who wants to learn how to break into the publishing world, this conference is for you. If you are an experienced writer looking for new markets and wanting to network with other writers, this conference is for you. All writers can benefit from two days of companionship, learning, worship, and encouragement. Friday, March 9 – Saturday, March 10, 2018. The 2018 Carolina Christian Writers Conference will be held at First Baptist Spartanburg, March 9th and 10th, 2018. This two-day event will offer you the opportunity to learn from professionals in the publishing industry. Those who attend can learn about fiction, nonfiction, article writing, humor, children’s writing, book proposals, social networking and more. Discover how to take your story from idea to the printed page. Pitch your work to editors and publishers. Explore the mechanics of good writing and the importance of writing with excellence to change the world. Get encouragement and instruction from professionals. Biblical teachers and preachers! 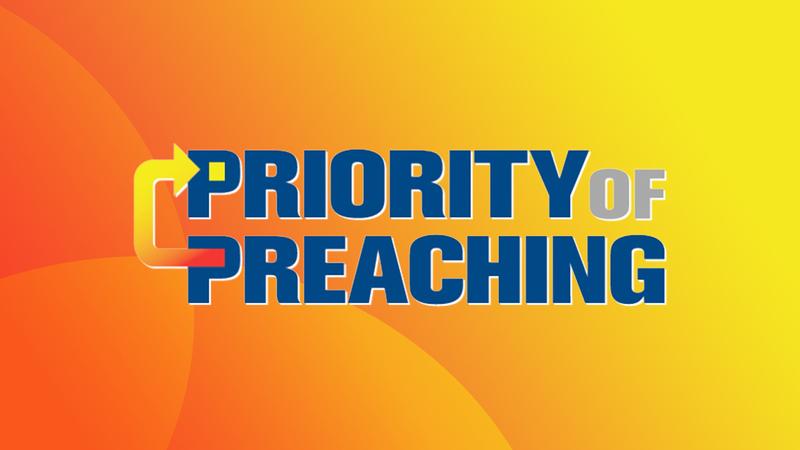 Join us for a special focus on preaching with guest speakers Clayton King, Tony Meridia, Jim Shaddix, and Robby Gallaty. It’s time to reinvest in the Word of God, tap into the giftedness you don’t know you have, and get a fresh understanding of your gift of preaching. To view the sessions from February 2018, click below!